My First Summer in the Sierra. Boston and New York: Houghton Mifflin Company, 1916. John Muir, one of America's most famous naturalists and conservationists, was founder of the Sierra Club. He is known for his work protecting Yosemite and other national forests, and his losing battle to save Yosemite's Hetch Hetchy Valley from being dammed as a water source. 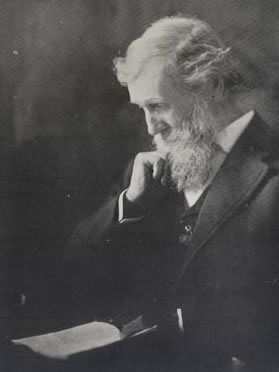 Muir was influenced by Ralph Waldo Emerson, who linked the natural world to a greater universal spirit. In his My First Summer in the Sierra, Muir described the interconnectedness of the environment: "When we try to pick out anything by itself, we find it hitched to everything else in the universe." This same quote is etched on the floor of the Packer Avenue wing of Lehigh's STEPS building.